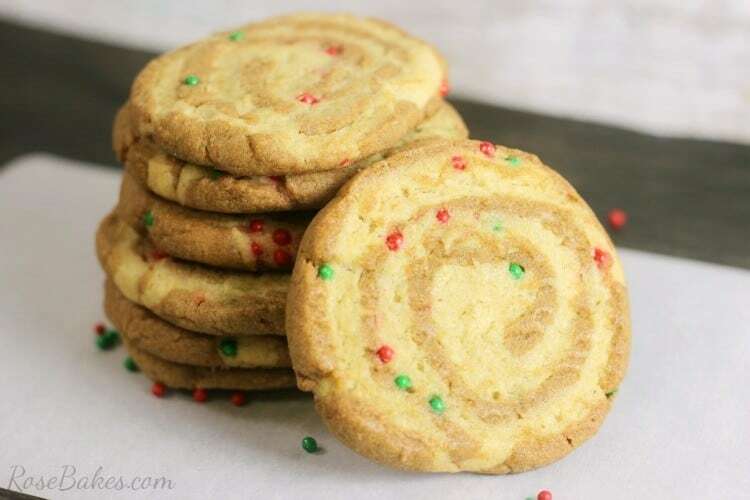 Gingerbread Sugar Cookie Pinwheels. 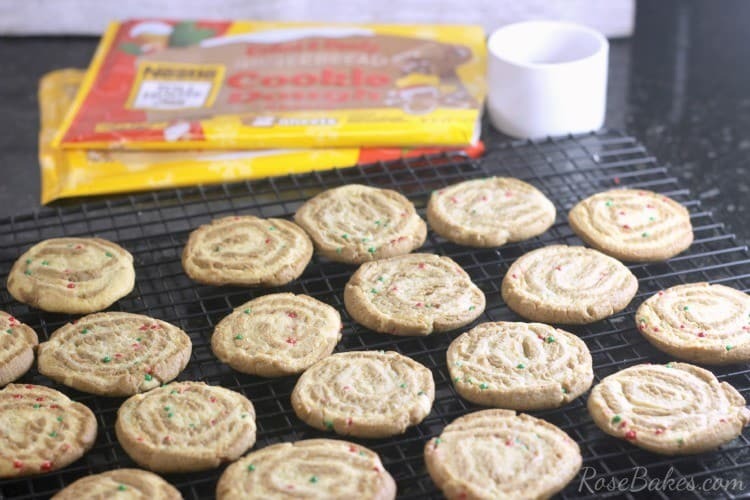 This holiday cookie recipe combines two Christmas favorites from NESTLÉ® seasonal products… Gingerbread Cookies and Sugar Cookies! 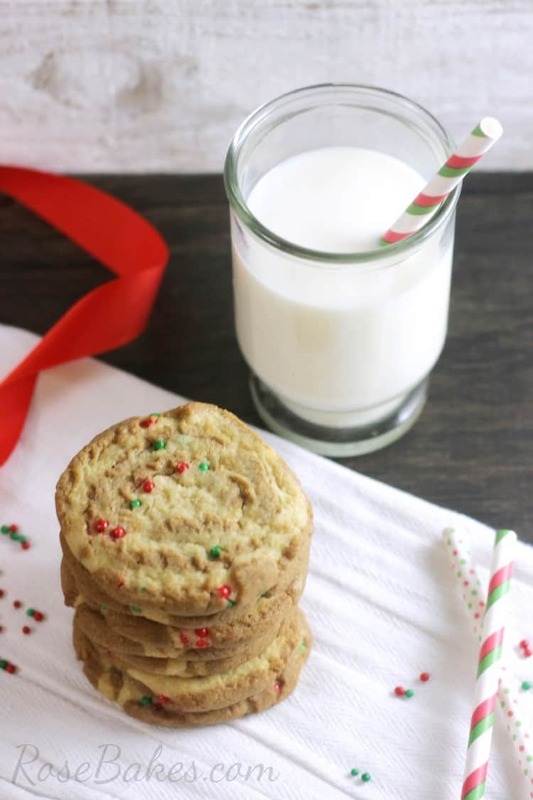 Throw in some Christmas sprinkles and you have a festive and delicious cookies perfect for sharing or gift-giving! During this busy time of year, it’s so easy to get caught up in the “must-do-this” and “gotta-buy-that” and well… sometimes we just miss the joy of the season. The joy of playing a board game with our kids or quietly reading them a story…. the joy of making time for a phone call with a friend who just needs to talk or saying “thank you” to someone who’s been kind to you. Saying “thank you” is one area where I want to do better. Not that I’m ungrateful or that I don’t actually say “thank you” when someone has been there for me … but I want to show my thankfulness. I want to demonstrate to those I love how much I appreciate them and what their kindness means to me and my family. Without a doubt, sometimes all you need to do is show up with something sweet, share a hug and a cookie and a glass of milk – and you’ve made someone’s day and let them know what they mean to you. How do I do that? Baking, of course. And baking doesn’t have to be complicated to be fun and delicious and impressive 🙂 It can be a simple remix of some cookies you’re already familiar with… gingerbread and sugar cookies! 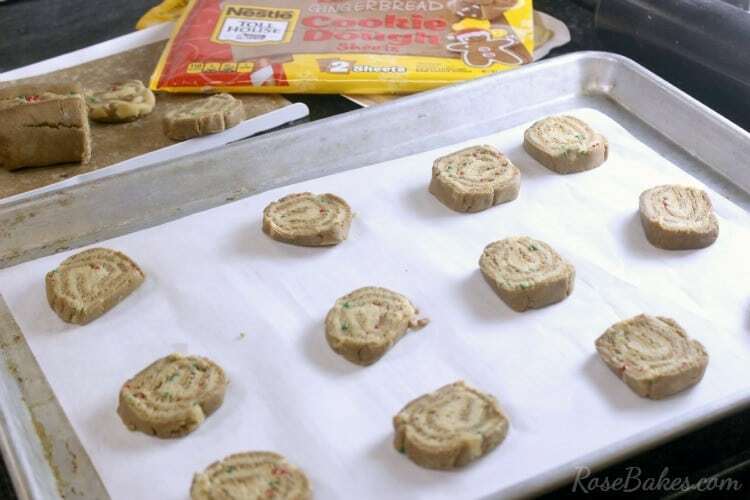 In addition to these Gingerbread & Sugar Cookie Pinwheels, be sure to check out the NESTLÉ® TOLL HOUSE Pinterest Page and the NESTLÉ® TOLL HOUSE Facebook Page! 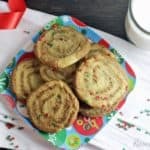 These Gingerbread Sugar Cookie Pinwheels are a mix-up of some NESTLÉ® seasonal products – NESTLÉ® TOLL HOUSE Rolled & Ready Holiday Gingerbread Cookie Dough Sheets and Sugar Cookie Dough Sheets . With Christmas sprinkles added in, they’re festive and delicious and a perfect gift to make a friend smile. Preheat your oven to 350°F. 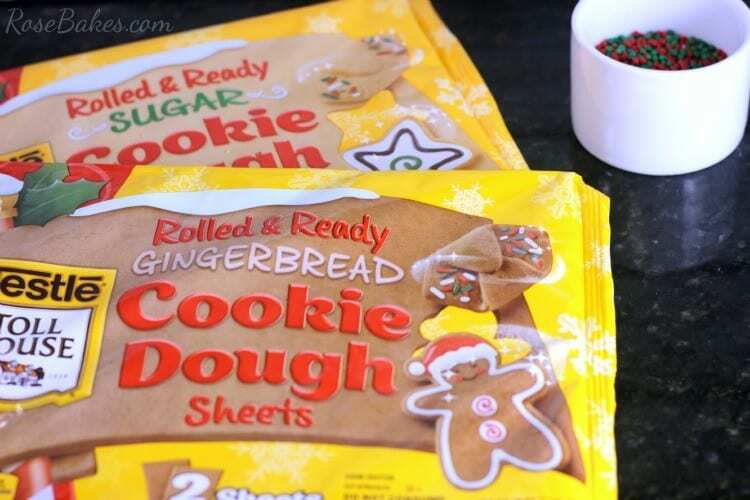 To make the cookies, you’ll start by opening up both packages of cookies and spreading out a sheet of parchment paper that fits your cookies sheet. 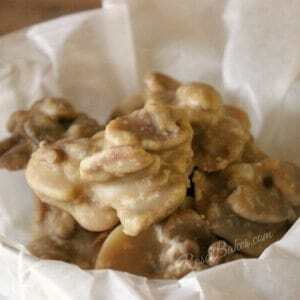 Then lay out a sheet of cookie dough. 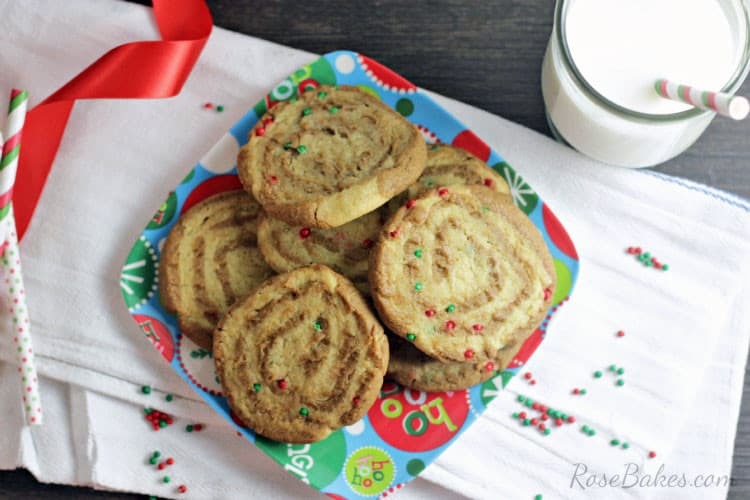 I started with Gingerbread but you could also start with Sugar Cookies… won’t matter at all! Next, spread on some Christmas sprinkles. I poured them onto the cookie dough sheet, then gently pressed them in (the little beads were rolling everywhere… haha!). 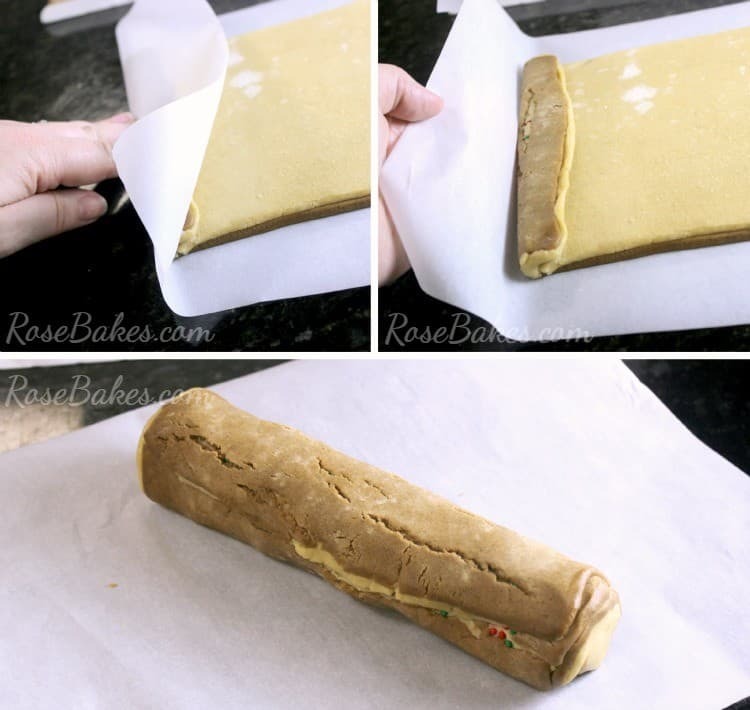 On top of that, place a sheet of sugar cookie dough, and again, gently press it down so that it’s stuck in place! Next I used my rolling pin to roll out the dough a little. Mostly, I wanted the two sheets stuck together really well and the dough all even. Starting with the short side, I used the parchment paper to fold up the end and start rolling. The parchment kept the dough from sticking to my fingers. 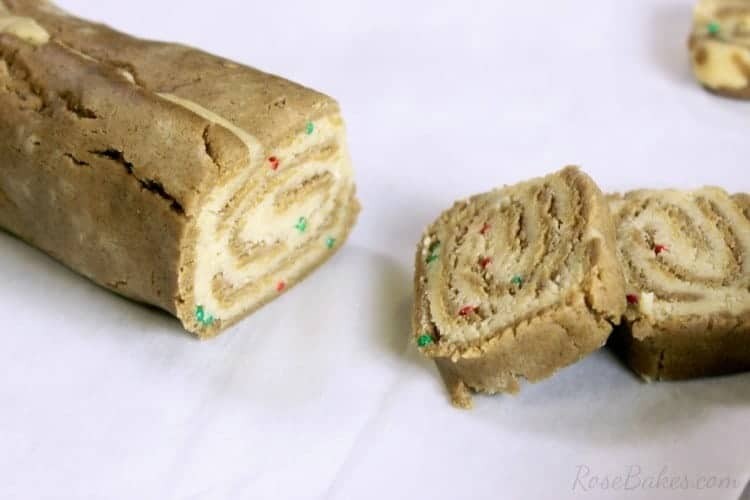 I continued to roll it – using the parchment to fold it over and smooth it each time until I had the “log” of cookie dough! It cracked here and there but you’ll never know that after slicing and baking. 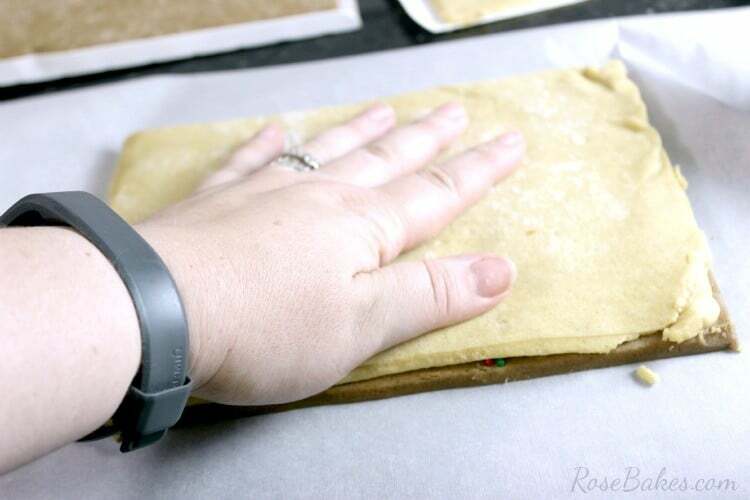 Speaking of slicing… grab a short knife and begin slicing off cookies – about 1/4″ thick. You should get around 20 slices from one roll of dough. 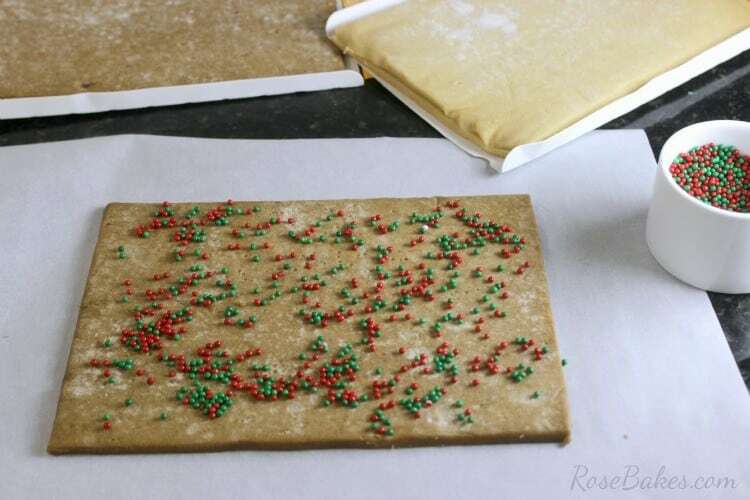 Grab the parchment paper you used earlier, line the cookie sheet, then place the cookie slices about 2″ apart for baking. Bake them for around 9-11 inches each – until slightly crispy on the edges. Let them rest on the pan for a couple of minutes, then gently move them to a cookie sheet and allow them to completely cool! 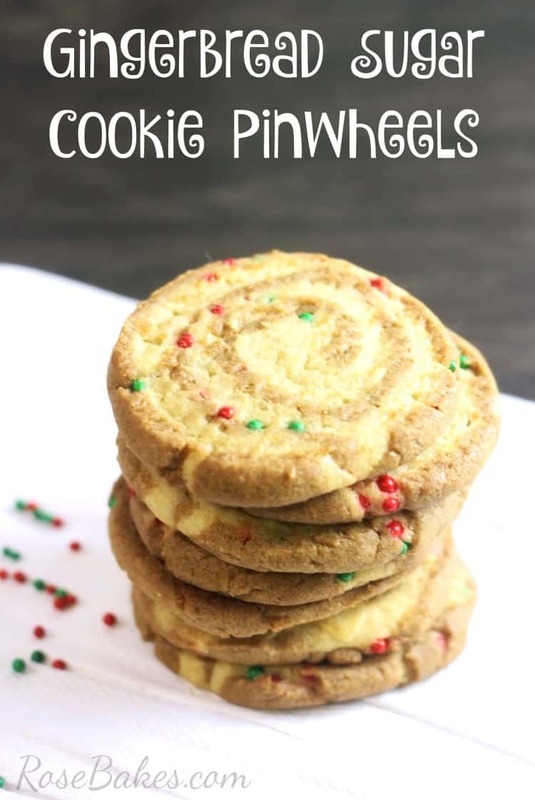 And there you have it… Gingerbread Sugar Cookie Pinwheels! 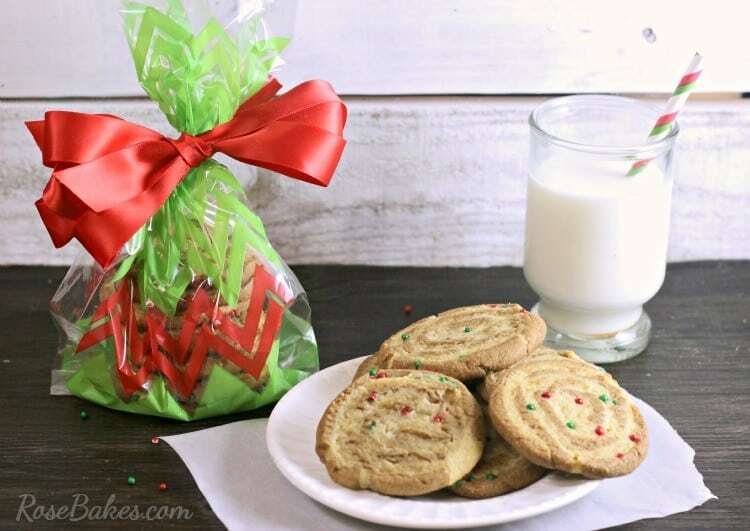 Enjoy these warm with a glass of milk, or even better, package them up to share with someone special in your life to brighten their holiday season! I stacked up a few in a treat bag and added an easy bow (tutorial here) to show you how easy it would be to turn these into a “thank you” or Christmas gift! How would you like to win a $10 Paypal Gift Card so you can buy more baking supplies? Hop over to Instagram to enter! Winner will be chosen on December 22, 2015 before noon CST. 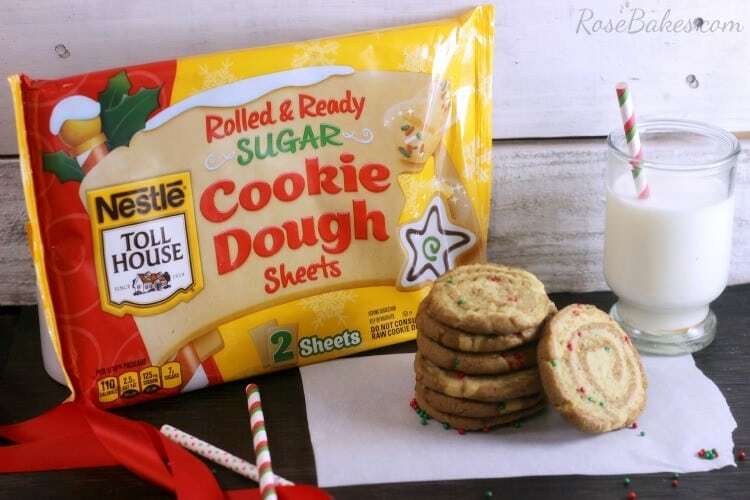 Don’t forget – print your coupons for NESTLÉ® TOLL HOUSE products HERE and visit the NESTLÉ® TOLL HOUSE Pinterest Page and the NESTLÉ® TOLL HOUSE Facebook Page for more Holiday Cookie Recipes! 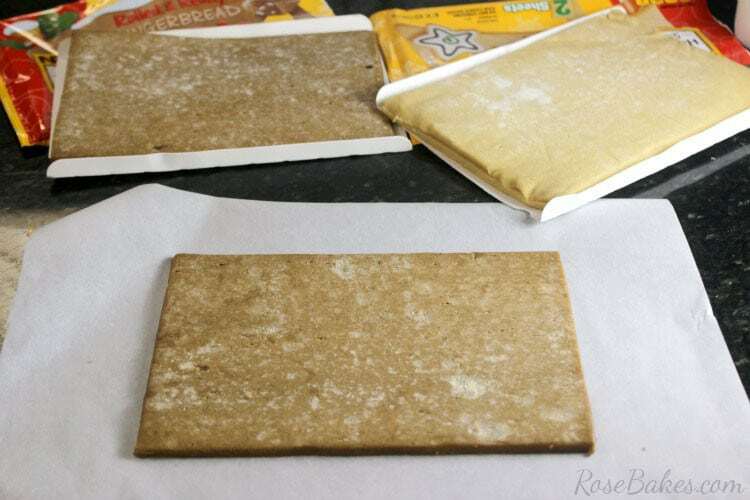 To make the cookies, you’ll start by opening up both packages of cookies and spreading out a sheet of parchment paper that fits your cookies sheet. Then lay out a sheet of cookie dough. 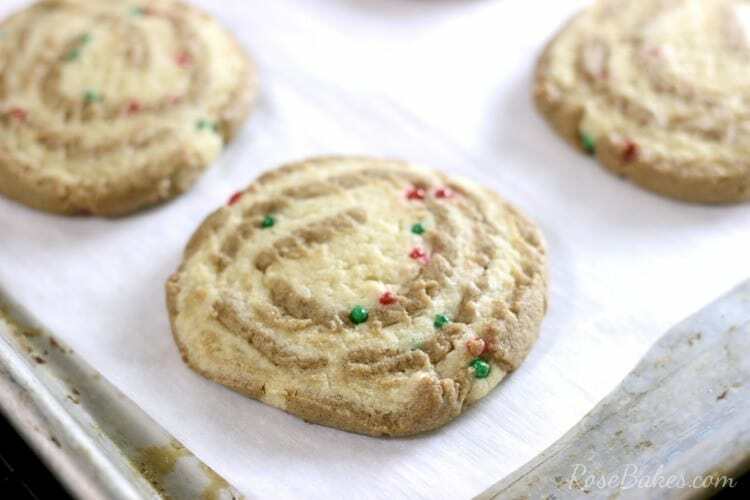 I started with Gingerbread but you could also start with Sugar Cookies… won’t matter at all! 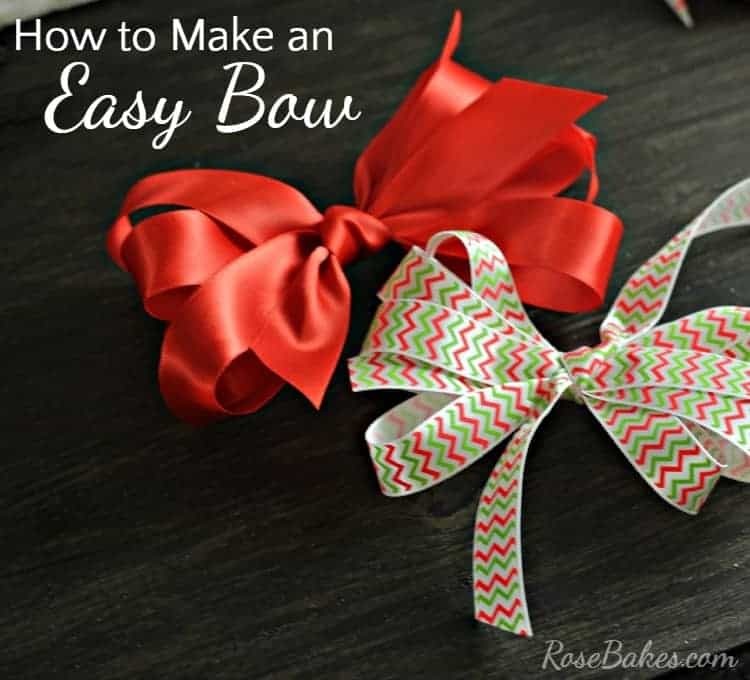 See How to Make this Simple Bow HERE! What a yummy idea to combine the two flavors! Thanks so much for dropping by Karly!